The Christmas collection that all jazz cats will want in their stocking! 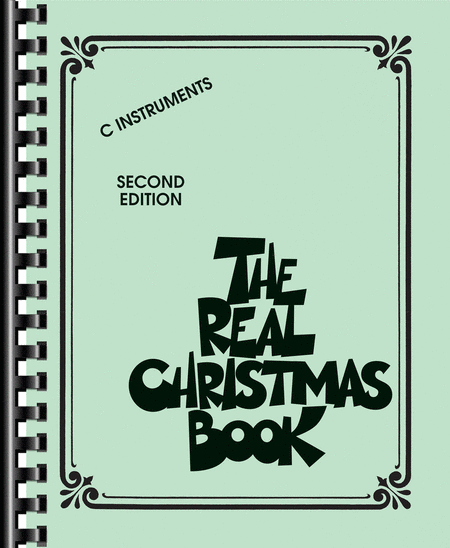 This unique fake book features 150 custom arrangements with lyrics of carols and contemporary holiday songs featuring sophisticated jazz chord changes in the popular, user-friendly Real Book format. Players will enjoy putting the cool back into these Christmas classics: All I Want for Christmas Is You • Auld Lang Syne • Baby, It's Cold Outside • Blue Christmas • The Chipmunk Song • Christmas Time Is Here • Dance of the Sugar Plum Fairy • Happy Holiday • Here Comes Santa Claus • I Heard the Bells on Christmas Day • I've Got My Love to Keep Me Warm • It Must Have Been the Mistletoe • It's Christmas in New York • Joy to the World • What Child Is This? • Last Christmas • Let It Snow! Let It Snow! Let It Snow! • Mister Santa • Santa Baby • Santa Claus Is Comin' to Town • Silver and Gold • Silver Bells • Somewhere in My Memory • What Are You Doing New Year's Eve? • You're All I Want for Christmas • and more. Editions also available in C, E-flat, and Bass Clef.